New Orleans Jazz Blues, Cajun Music at it’s Best! Video taken at Low Country Boil Tannery Row Warehouse. June 2017. Atlanta Musicians Ken Gregory, Paul Newkirk, Larry Gettemy and Paul Vogler perform a medley of Big Easy Music. 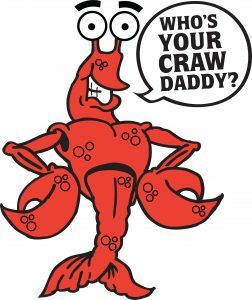 The Crawdaddy's Cajun Zydeco Band can perform Crawfish Broils and Cajun Bayou Swap Parties!